The Dark Ranger: The Rangers, at Yankee Stadium, is a great idea. Since The Dark Ranger is taking care of TtDR (The Tiny Dark Ranger, the small "t"is to highlight the tiny) on paternity leave, I thought I'd come in and throw some of my thoughts around. Since reports have surfaced that the NHL is in discussions to play an outdoor game at Yankee Stadium, I thought that would be as good a place as any to start. Sometimes I think you NYC folks must think anyone on the Pacific coast. west of the Mississippi, left of Pittsburgh must think the rest of us are a bunch of whiners. Why? well because we invoke the "East Coast Biased media" saying a lot, especially when we feel like our teams aren't getting the respect (i.e. coverage) they deserve. For the purpose of this discussion let's assume (accurately!) that there is an East Coast media bias, especially in sports media, and that it's especially concentrated in the D.C.-Philly-NYC-Boston corridor. Now if you are trying to increase your media coverage, which the NHL is, why not have the showcase game, in the showcase American market, with it's showcase team (which happens to be steeped in tradition). Normally the NY showcase team is covered to the point it makes everyone else nauseous (See: Yankees) however since hockey isn't covered at all that overexposure contempt isn't really anywhere to be found for the Rangers. If you happen to have them playing in the most famous stadium in the country, the one the national sports media has crammed down our throats for the last 50 years, it gains even more exposure. But the goal isn't just to get the NE involved in hockey, but everyone. Like it or not Yankee Stadium is the most famous stadium in the country right now. If the NHL can swing a game to be there, the last game ever there, it would get more attention than the NHL has had in the last 5 years... combined. The novelty alone is worth front page on the Times, Post, and every other NY-centric paper. That link, that familiarity, will get fans outside of the NE to feel at home too, watching a game in a stadium that everyone is familiar with. 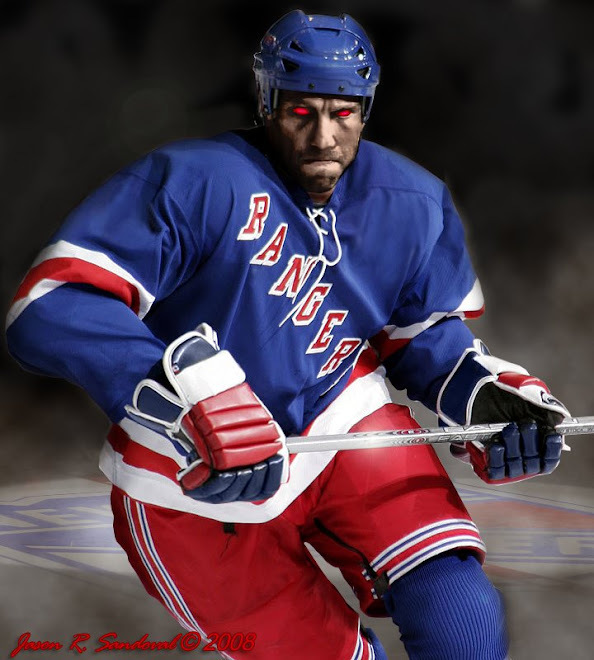 As long as they pair the Rangers with a non-NY based team, with a star or traditional rival. (My picks, in order: Washington, Philly, Boston, Detroit, Whoever the Rangers play in the playoffs this season,Toronto) It will generate a ton of buzz, which is exactly what the purpose of the game is. I don't think anyone is arguing the above points, I see mot people arguing against Yankee stadium specifically, so I'll go over my responses to the two main arguments that I have seen. But the Yankee Stadium should be closed out by a baseball game. Bah! Sentimental Rubbish! I get the sentimentality of it, but "last event in a stadium" doesn't really matter. The most meaningful stadium to me, ever, is Mile High Stadium. My dad had season tickets during the 80's Super Bowl seasons and I remember going to nearly every home game for the better part of 4 seasons as a 6-9 year old kid. That stadium is like a football holy site, in my mind. But the funny part is, now that it's gone, I don't care what the last event there was. It may have been a Broncos game, it may have been a Rapids game, more than likely it was a concert for some washed up pop-rock band from the 60's. It doesn't matter though. That "last event", whatever it is, doesn't diminish my memories of watching the Broncos there. It doesn't diminish the "holyness" of it. Just as a Rangers game at Yankee Stadium won't diminish any of the baseball memories made there over the years. And let's face it, even if the Winter Classic doesn't happen there, the Yankees are not going to close it out anyways. If Hollywood can get Jimmy Fallon and Drew Barrymore on the field to "celebrate" the Red Sox first World Series win in 86 years, they damn sure are going to be able to get into Yankee Stadium after there are no more baseball games to be played there. Yankee Stadium's last hurrah is bound to be some crappy movie with B-B+ list actors. Why not have a great hockey game instead. Yankee Stadium is a dump, And the sitelines won't be good for a hockey game. Poppycock! (You can see my theme for the day is stereotypical British dismissive exclamations) Having never been to NY, and obviously the stadium, I can't argue this, I've only seen this response. However it doesn't much matter. If you are attending this game in person you aren't going to watch a normal hockey game, you are going for a giant party that surrounds a hockey game. The game in Buffalo this season was exactly that. It's tailgating (which is probably hard in the Bronx, like I said I wouldn't know), drinking off your hangover from the night before. It's an event. You don't go to the Superbowl to watch the game you go for the atmosphere. What provides a better party atmosphere than Yankee Stadium on New Years Day? Here's a longer blog post that agrees with me as well. Uh, hey Jibble - there was a outdoor game west of Pittsburgh ... the Heritage Classic in Edmonton. I am sure that somewhere down the line your precious Aves could get a outdoor game but not before the NHL tries to cull the major marketing money of Madison Ave - and as you pointed out yourself, the media is east coast-centric. And there would be no real tailgating - the neighborhood around the Stadium is a dump. There are a few decent dive bars but there is nothing remotely close to allow actual tailgating. The truth is any real Yankee fan has been calling for the demise of the BronX Rock to be torn down anyway, and as far as sentimental goes, there are probably 20 true Yankee fans who watch hockey to begin with and their anyone else's response to a hockey game in January would "Who the hell cares!" I think it's a great idea too! Nice post.